Usually, I love rice. 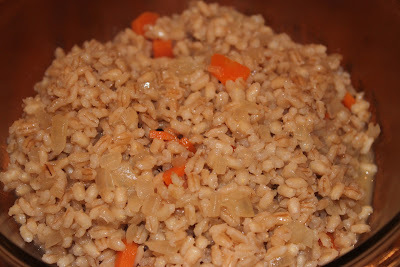 To be different, I made pilaf with barley. I think not too many people really eat barley. I like it. It's tasty, hearty. I love it in veggie beef soup. Every once in a while, I make some plain barley just to change things up. This was a good change up. Just be aware that barley takes a lot longer to cook than rice. You may end up boiling for a good hour before it's ready to eat. Make sure to use a bit more liquid than rice. I went for 1 cup barley to 2.5 cups liquid. 1. In a 2 Qt. saucepan, saute onion and carrot in the butter until softened and starting to brown. 2. 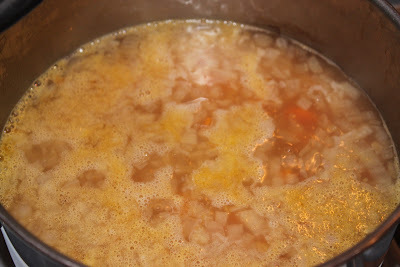 Add the barley and continue sauteeing about 2 minutes. You want the barley to get a little glossy. 3. Stir in your stock. Bring up to a boil. Cover and keep at a low boil for about 45 minutes to an hour, or until the barley is tender and has absorbed all the stock. Barley takes a long time to cook at altitude so you may even need another 15 minutes. 3. Serve warm. This makes a nice bed for other foods. With pilafs, you can add other vegetables if you want them. 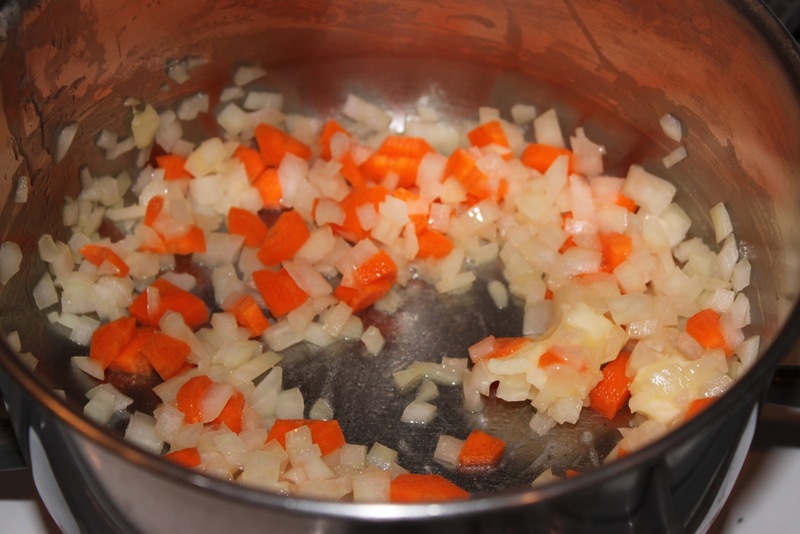 Some common additions to pilaf are green peas, pine nuts, parsley, or sliced mushrooms (evil mushrooms).